Huma Abedin – Len Bilén's blog, a blog about faith, politics and the environment. Trick or treat? 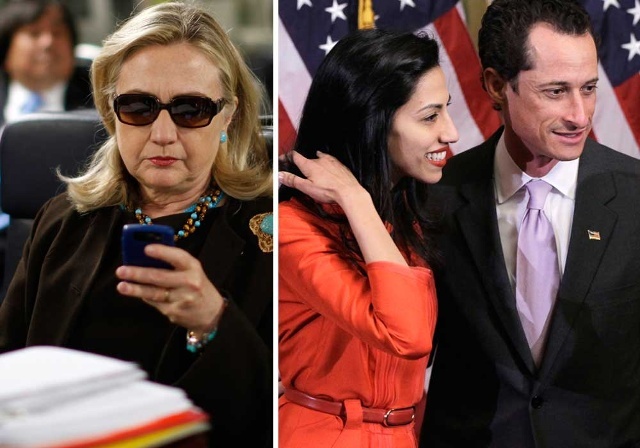 A Limerick on Weiner – Abiden – Clinton emails. The Weiner showed up Halloween. witch Hillary bleached, are now seen. Posted on October 31, 2016 November 1, 2016 Categories campaign, Clinton, limerick, politicsTags Anthony Weiner, Hillary Clinton, Huma Abedin, Limericks, politicsLeave a comment on Trick or treat? A Limerick on Weiner – Abiden – Clinton emails. Hillary throws everybody under the bus to save her own skin! A Limerick. Friends of Hillary, head for the hills! she will kill you to win. Yes, Clintoncide gives me the chills! Posted on September 5, 2016 Categories Clinton, limerick, PoliticsTags Arkancide, Cheryl Mills, Clintoncide, Hillary Clinton, Huma Abedin, Limericks, politicsLeave a comment on Hillary throws everybody under the bus to save her own skin! A Limerick. Too secret for Congress inspection. The FBI has now in its possession over 15000 of the “personal” e-mails that Hillary deleted from her unsecured private server, and from other sources. We may or may not see them before the election. 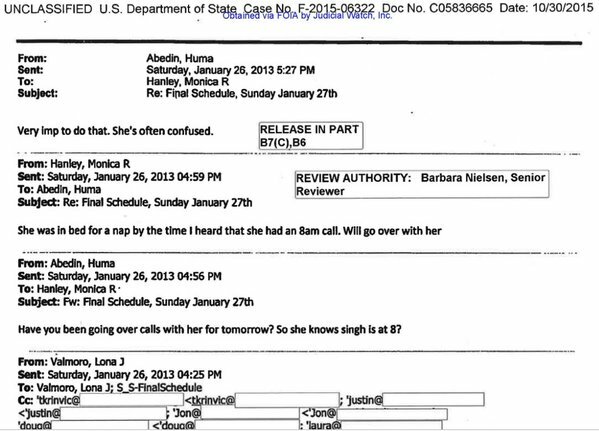 But, as reported by WND – Judicial Watch’s release this week of 725 pages of State Department emails involving Hillary Clinton aide Huma Abedin demonstrates the Obama administration considers a large percentage of the emails sent through Clinton’s private server too sensitive for Congress or the American public to read. Of the 725 pages, more than 250 pages were 100 percent redacted, many with “PAGE DENIED” stamped in bold. Judicial Watch added that in many instances, the preferential treatment provided to donors was at the specific request of Clinton Foundation executive Douglas Band. Previous releases of Clinton emails have forced the Obama administration to admit highly sensitive State Department information was transmitted over Clinton’s private email server. On July 7, Charles McCullough, the inspector general of the intelligence community for the Office of the Director of National Intelligence, in testimony before the House Oversight and Government Reform Committee, admitted his office did not have the security clearances required to read the emails transmitted over Clinton’s private email server that Congress was demanding to see. Rep. Jason Chaffetz, R-Utah, chairman of the House Oversight and Government Reform Committee, generated the response by asking McCullough if he could provide the committee, in a secure format, the classified emails transmitted over Clinton’s private email server. “I can’t say that in an open hearing sir,” McCullough replied. “So you can’t even tell me which agency won’t allow us, as members of Congress, to see something that Hillary Clinton allowed somebody without a security clearance, in a non-protected format to see. That’s correct?” Chaffetz responded, in obvious disbelief. McCullough responded that he could not tell the committee in an open hearing even what the emails were about, let alone reveal their specific contents. “So even the Inspector General for ODNI (Office of the Director of National Intelligence) didn’t have the requisite security clearances?” Chaffetz pressed, seeking to clarify McCullough’s statement. “That’s correct. I had to get read-ins for them,” McCullough said. Hillary Clinton, Huma Abedin, and Cheryl Mills to testify “under penalty of perjury”. A Limerick. A Federal judge has ordered Hillary Clinton and two of her top aides to deliver sworn statements on whether they have produced all the relevant e-mails during their time as employees of the State Department. The judge took the rare step of requiring the trio to deliver their certified statements under penalty of perjury. “of perjury” puts them in peril. Tell the truth? Tell a lie? It’s past time to slide by. The judge has them over a barrel. Posted on August 4, 2015 August 4, 2015 Categories limerick, PoliticsTags Cheryl Mills, Hillary Clinton, Huma Abedin, Limericks, penalty of perjury, politics1 Comment on Hillary Clinton, Huma Abedin, and Cheryl Mills to testify “under penalty of perjury”. A Limerick.